Spot launches on first day of Six Nations. 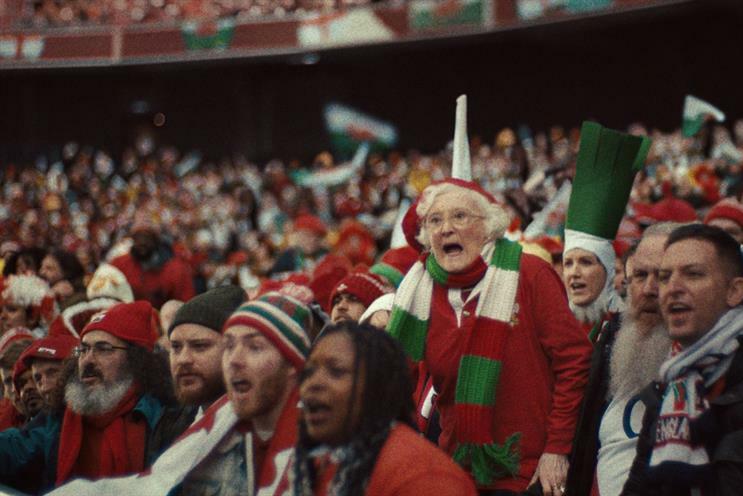 Guinness tells the true story of two Welsh brothers who are honouring the wishes of their late mother by using their inheritance to follow the national rugby team during the Six Nations, in the latest ad from Abbott Mead Vickers BBDO. "The purse" stars David and Gareth Rees travelling around Europe following the Welsh side for the tournament, of which Guinness is the sponsor and which starts tomorrow. The pair carry her Welsh dragon-branded purse as a beer kitty in honour of the game she loved. The ad breaks on 2 February and is supported by social and digital content on YouTube, Facebook and Instagram. It is the latest instalment of Guinness’ "Made of more" series and is the latest rugby spot from the brand. From "Shane Williams" (2014) to "Gareth Thomas" (2015), Guinness' previous rugby ads have focused on players, but "The purse" is a story of the fans. Niall McKee, Guinness’ European marketing director, said: "We are honoured to celebrate the legacy of Olive Rees in our new campaign, ‘The purse’. Through her legacy, her sons have adopted her generous spirit to nurture a sense of friendship and community wherever they go. We hope this film encapsulates the spirit of rugby and the Six Nations championship, of which we are so proud to have been announced as title sponsor." David and Gareth Rees said: "We’ve loved rugby for as long as we can remember and being able to go to the Six Nations matches thanks to our mam has been amazing. Now being able to tell our story with Guinness is a ‘pinch me’ moment."